Welcome! to the Stetson Flight School. Flight School is scheduled for May, 2019. As always the exact date is weather dependant and it can take some time for the field to dry out. Keep an eye open for regular updates on this page. Ground School for 2019 is scheduled for Thursday April 25, 2019 at 7:00pm in Embrun. You must register for this event via email detailed below. Click here to register for GROUND SCHOOL. 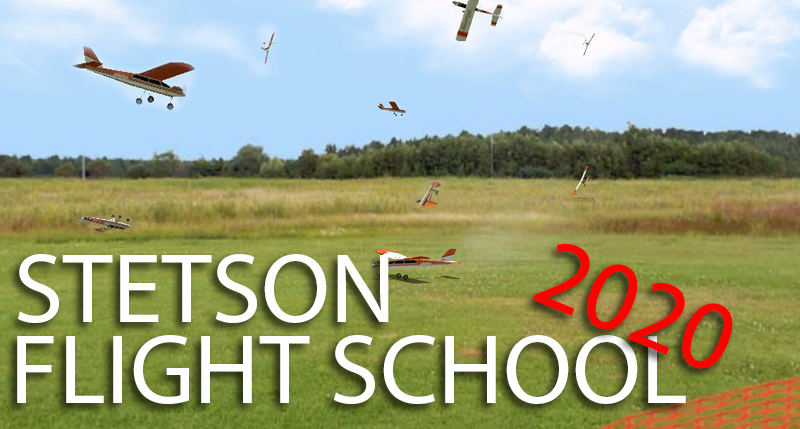 The Stetson Flight School Program is now open for registration for the 2019 season! The school will begin Tuesday May 7, 2019 and occurs each Tuesday from 4pm until dusk. This of course is weather dependent and relies on the field condition. Continuing from last year is the option to defer to Wednesday as dictated by the weather (& dependent on student numbers). Keep an eye on this web page for all the information you need during the season including live weather updates on flight school nights (Tuesday’s). Students who started last year and have not yet earned their wings are invited to return to the school for the 2019 season. There is a limit of 16 active students due to the number of available instructors and actual flying time, slots are still available so register now! All students must apply via link below and will be added to the student list until the limit is reached. Ater that, they will be placed on a waiting list and contacted as slots become available. Previous students and other club members are welcome to attend Tuesday nights but are asked to not fly. The flight line is open to current students and instructors only. Click here to register for FLIGHT SCHOOL. Please contact me at anytime via email for any/all of your questions, I’m here to help and I’m looking forward to the new season. What is the Stetson Flight School? Stetson Flight School (SFS) is a program designed by experienced club pilots to get you flying radio control aircraft as soon as possible while teaching you all that you need to know for a long and safe flying career..."
What do I need to do? That's a good question. Join the Stetson Flyers Model Airplane club. Join the Model Aeronautics Association of Canada (MAAC). Read the Students Brief carefully to understand what the SFS is all about and what the school program involves. Purchase an approximately .40 sized (or larger) trainer aircraft (fuel-powered or electric), complete with radio control and support equipment. Contact your CFI for more information here. REGISTER by clicking the link above. Plusieurs de nos instructeurs sont bilingues et offrent la même qualité d'enseignement en français. We are working hard on the program and the support structure, including constant upgrades for your benefit. The first class date is in May, 2019 as announced above (weather dependant) and will cover field familiarization, club rules & safety and an opportunity to have your aircraft checked by instructors. All things going well, we will get your plane in the air for a trim flight. What is the Stetson Ground School? Stetson Ground School is a one night, all inclusive session where the CFI will give you the students an extensive but high level overview of everything from aircraft parts and function, to engines and batteries, safety and handling and much much more! Note before: You must register for this event via the "Register for Ground School" link above. 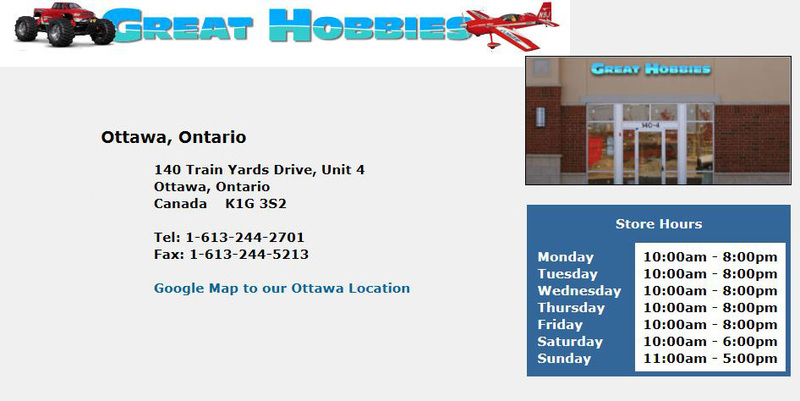 The session date will be announced on this webpage above and will give you a great starting point for radio control aircraft flying and for the upcoming season. What do I need to do to pass my Wings test once I have learnt to fly? Learn the Stetson Flyers club rules. Write and pass the Stetson Model Flyers Club Wings exam. Demonstrate proficiency flying the Schedule of Wings maneuvers.